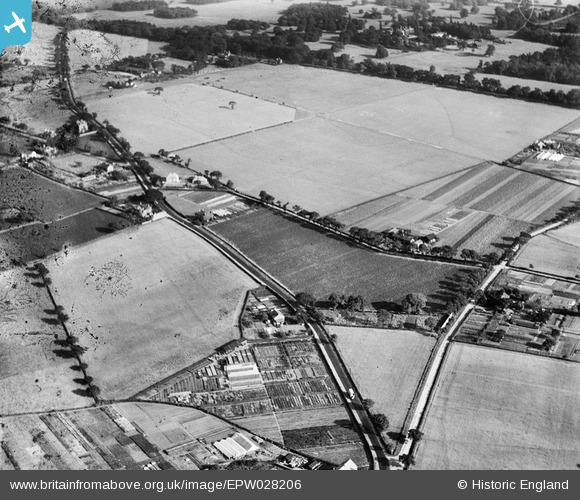 Wythenshawe Road (B5167) - towards Moor End and Northenden village. Corner of the roof of the Industrial School, which by the 1950s had become "Northenden Road Girls' School", an Approved School for young offenders. "Woodville" - originally a late Victorian private house; later an NHS clinic; later still private flats; now the community centre in which Fergie, the Duchess of York, made a bit of an idiot of herself on television a few years back.